Narada lived in heaven. Once he was cursed that he would be born on Earth. He was born as Upavarhana, the son of queen Kalavati. The Earth was in a drought at the time. When he was born the rains started pouring. This was a miracle. Nara means water and Da means to give or giving. Since water had come when he was born he was named Narada. I had never heard of this. This was the first time in any Purana that this story was mentioned. I also know that you’ll be having a lot of questions like why was Narada cursed? Who cursed him? Unfortunately, I can’t tell you everything otherwise this wouldn’t be a review. I’ll let you read and find out yourself. My other favourite story is given below. I came across an unusual story, one which I hadn’t read in any other Purana. It was the story of how Sarasvati, Lakshmi and Ganga became rivers. Ganga, Saraswati and Lakshmi were the wives of Narayana or Vishnu. Saraswati was jealous of Ganga and fought with her and tried to grab her hair. Lakshmi noticed this but kept quiet at first. Soon, it became too much, and Lakshmi intervened. Saraswati cursed Lakshmi that because she was quiet at first, she would become a shrub and a river. Ganga then cursed Saraswati that she would be born as a river on Earth. Saraswati was angry and cursed Ganga that she too would become a river. Lakshmi became the tulsi shrub and the river Padmavati. Saraswati became the river Saraswati. Ganga became the river Bhagirathi or Ganga. As a result of this quarrel Narayana sent Ganga to marry Shiva and Brahma married Sarasvati. He kept Lakshmi with himself because she really didn’t do anything wrong. This was a very surprising story. I never knew that this was the reason Ganga and Saraswati became rivers. Also, I had never heard of Ganga becoming Shiva’s wife. This was new to me and I didn’t know that Ganga and Saraswati were Vishnu’s wives. I wanted to share more stories but then you wouldn’t read the book and only the review. They also describe the many virtues of the river Ganga. The river is so holy that if you even say its name all your sins are forgiven. Seeing the river or breathing the air at its banks have the same effect. If you touch the water at the time of your death you are beloved to Krishna. I want to visit it someday so that I can get cleansed of all my sins. The last khanda of this Purana talks about Krishna. All the way from his childhood exploits to the Mahabharata war. His childhood is described in more details. The number of monsters he defeated and how he defeated them are mentioned too. The Srikrishnajanma khanda was my favourite. It was very interesting, and I loved reading it. Read this Purana so that you can remove gloom, fear, grief, doubts and darkness. You get wealth, learning, health, good fortune, protection against danger and a path to heaven. I enjoyed reading this Purana. 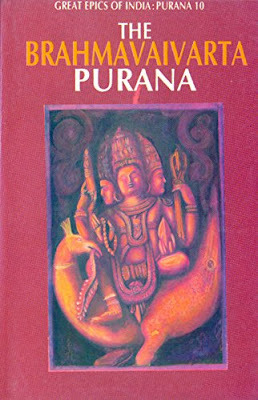 All nineteen Puranas were interesting and taught me a lot. I learnt so much from them. It was an amazing experience. I would encourage everyone to read and learn from the Puranas. Bibek Debroy has translated it very nicely and uses easy English which anyone can understand. I loved all the Puranas.